Quick Thoughts on COMMUNITY: "Course Listing Unavailable"
After a string a very strong episodes over the last couple of weeks, Community gave viewers "Course Listing Unavailable" which was mostly hit or miss and a reminder of this show's weaknesses. On the positive side, there were some good jokes here especially from Troy who has become my favorite character and one of the reasons I'm willing to give Community a lot of lee-way. Donald Glover's been amazing this season, and I've appreciated the arc that his character's been given as he's slowly removing himself out of Jeff's shadow and positioning himself as the potential leader of the Study Group. Since I'm a Troy/Britta shipper, I was also happy that the show's taking this pairing somewhat seriously, and I couldn't help but smile at the tail end of the episode when he reminded her about how awesome she truly is. But Troy was not the only one to get good moments as all of the main characters had bright spots. It's just too bad that it was so hard for them to overcome the not so good moments. I've never liked Chang. Never. So, the fact that he played a pivotal, although thankfully not large, role in "Course Listing" automatically knocked the episode down a few notches for me. Admittedly, making him the head of campus security who's been building his own private army of mini-guards works for the character on a conceptual level, but execution's been a problem this season. Unfortunately, it looks like he will even more present as the year winds down, so I'm hoping that he doesn't totally derail what's been a very strong second half of Season 3. Another quibble had to do with the Study Group's reactions to Starburn's death. It felt like the end of the Law & Order episode was there to start some major character growth for these seven individuals, but they were essentially unmoved by the passing of an acquaintance, and the only real emotion they showed occurred when they were put out by having to repeat Biology 101 during the summer. They had no remorse, and they once again only cared about how things affected them instead of worrying about how they impact everyone else around them. Heck, they were responsible for a campus wide riot because they were mad at the thought of getting an incomplete in a class while at a classmate's funeral. How selfish is that? Granted, "Course Listing Unavailable" and "Basic Lupine Urology" very well could be the first two episodes of a final arc that teaches the Study Group how to be decent human beings, but I was irked that their actions were largely unchanged. 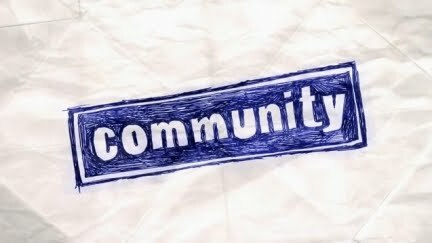 We're heading into the final stretch (although this could have been a decent season/series finale), and while I didn't love this episode, I have to admit that I'm still excited to see where Community goes from here. I still have my fingers crossed that the Study Group will finally learn how to be less self-serving, but we all know that change is the enemy of comedy, so we'll just have to wait and see.